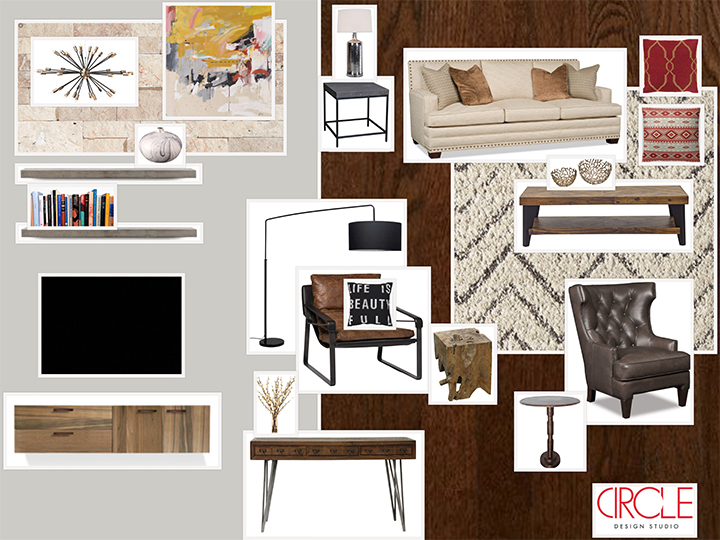 A great accent chair can do a lot in a room. Depending on the style you choose, it can add texture, a pop of color, or personality. 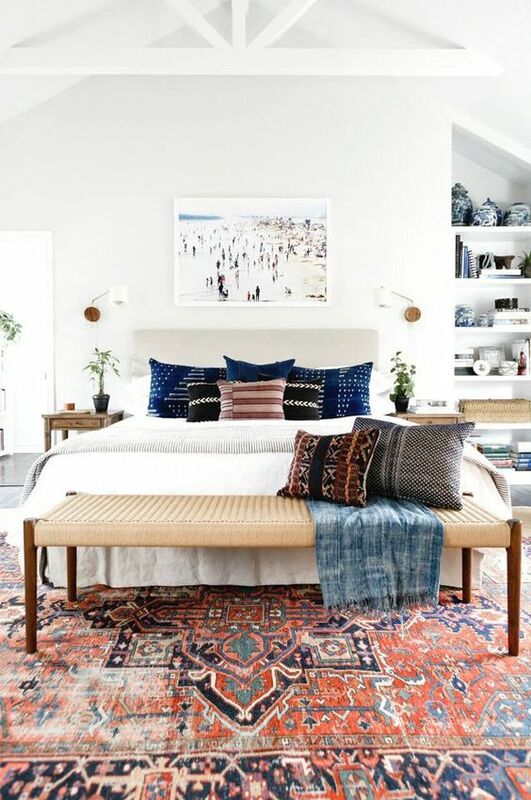 Whether you’re using it in a living room, bedroom, or office, it can really set the tone for your space. From a big cozy chair to a contemporary, clean-lined one, and everything in between, the choices for accent chairs are endless. 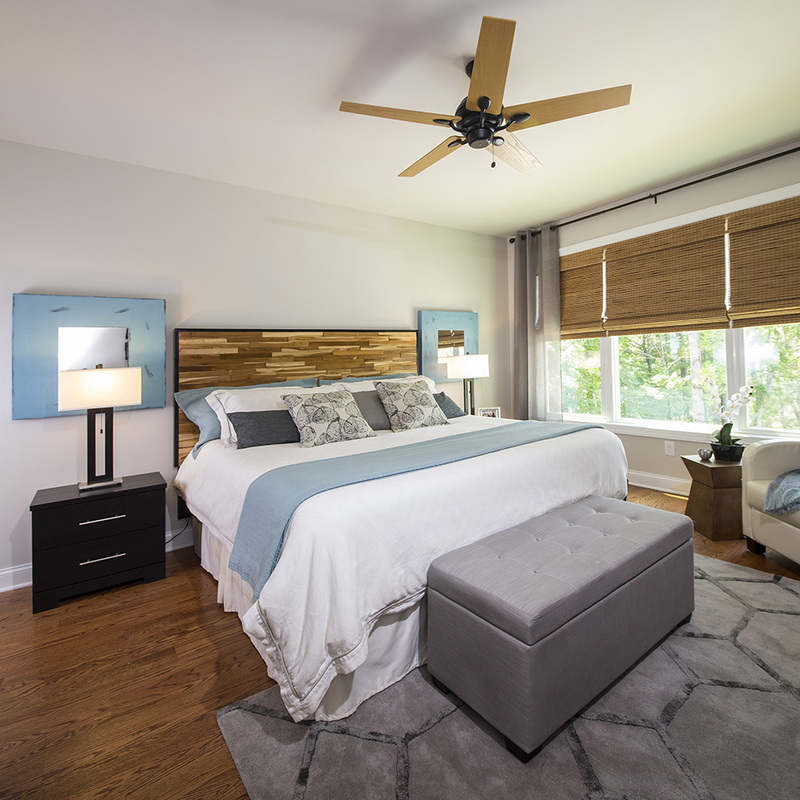 When you’re trying to choose the right one for your space, think about not only the style and color, but also its use and its placement. Also consider how the scale of the chair will fit in with the scale of the rest of the furniture in the room. 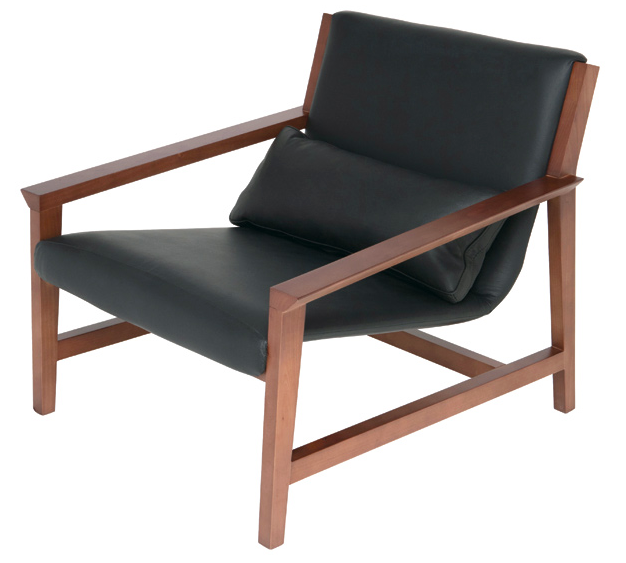 Today, we’re featuring some modern accent chairs we love. 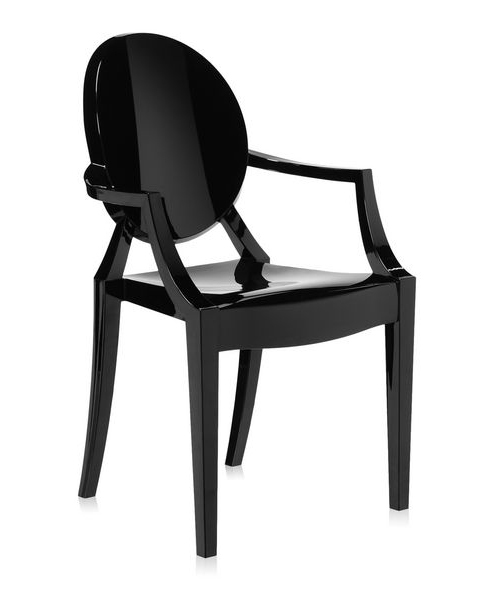 While they’re all very different, all of these chairs feature a sleek, minimalistic look. Even if the rest of your furniture is a bit more traditional, you can try one of these chairs as a unique accent piece. Mixing different styles can often result in a great look. 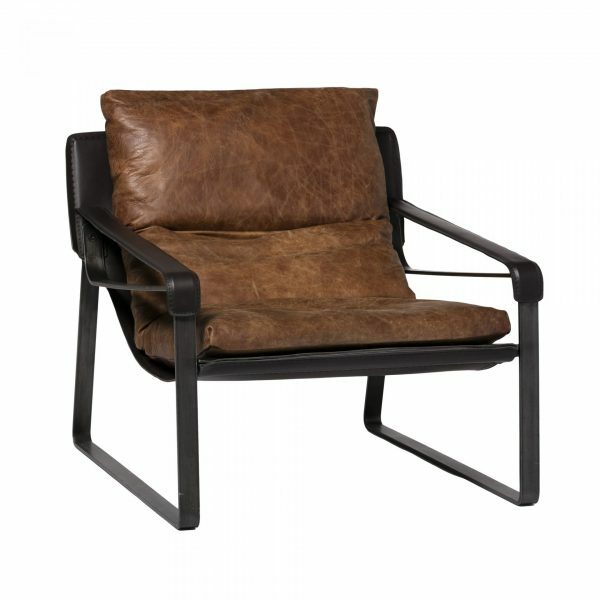 We love the masculine, industrial look of this chair. The iron frame brings a sleek look but the leather seat still provides a comfortable spot for relaxing. 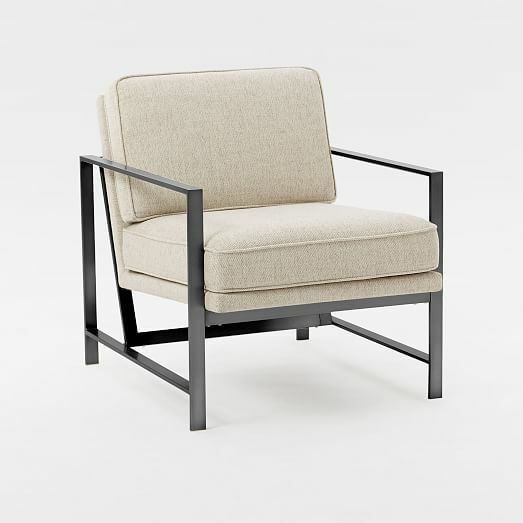 We love the contrast of warmth of the brush brass legs with the cool gray of the seat. 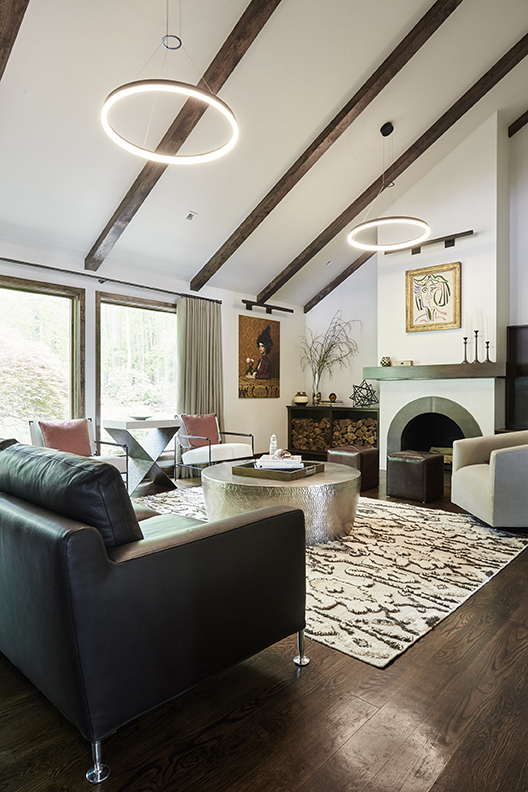 The curved shape brings a sleek yet cozy feel. 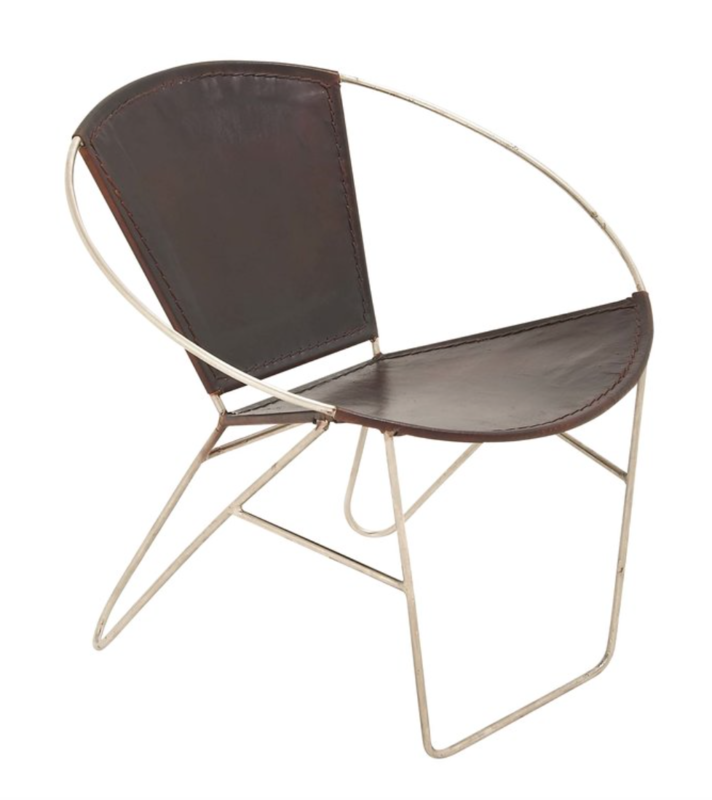 The metal frame of this chair is what gives it a modern look. The texture of cushion, available in a variety of upholstery and colors, simultaneously gives it a traditional feel. 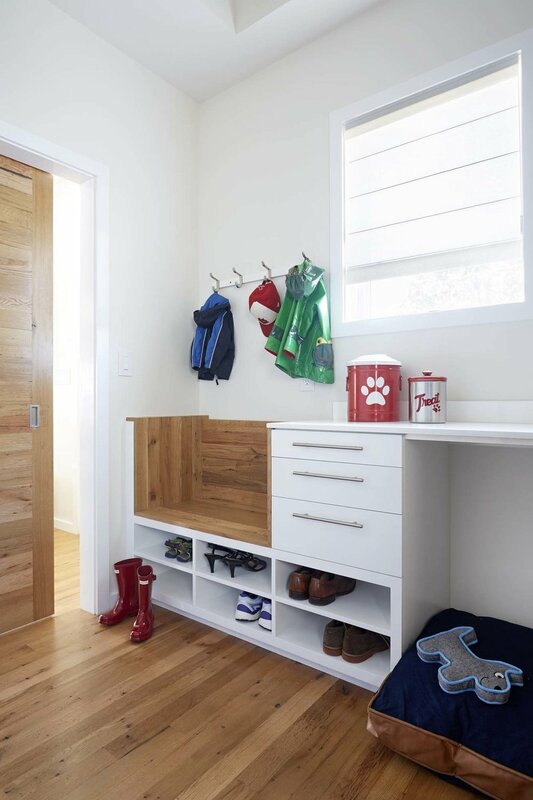 This combination makes it a versatile choice for a variety of spaces. 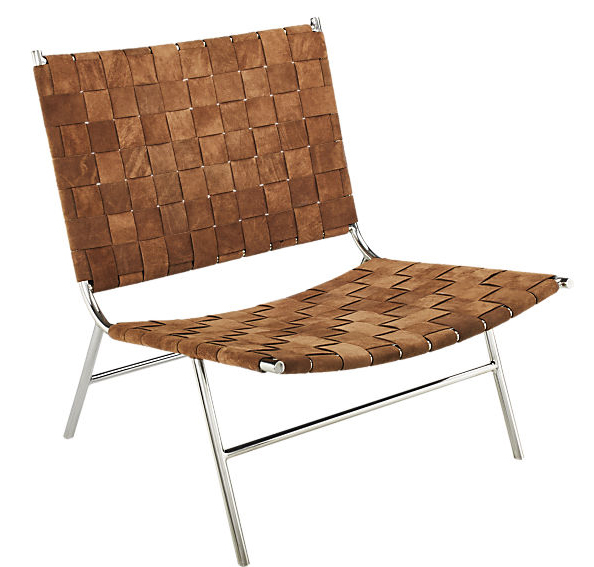 This one, with its chrome finish frame and woven brown suede, provides a minimalistic and rustic flair. It makes the perfect contrast to a big fluffy couch or bed. 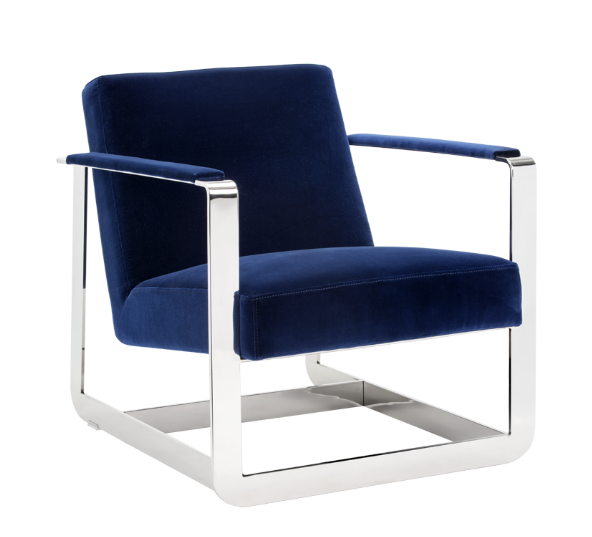 We love this chair for the shimmer and sleek curves of the stainless steel frame contrasted by the warm velvet-like fabric of the seat. 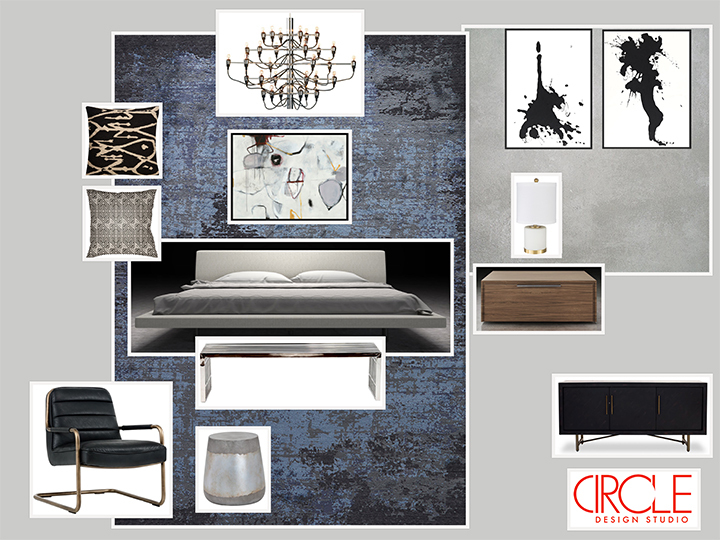 The rich, almost-navy color will bring a pop into the space. 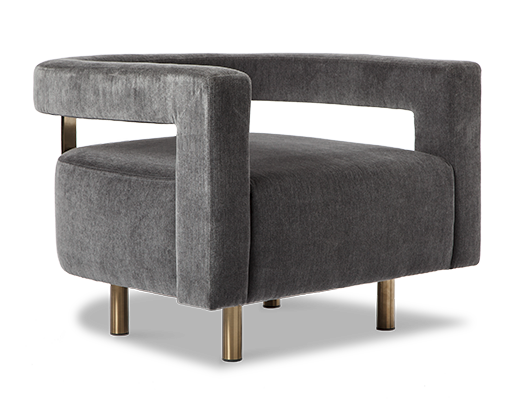 The tufted lines of this chair are reminiscent of a retro car bench seat. The simple frame, with its bronze finish, gives it a more modern look. This minimalist papasan chair is ultra-contemporary. 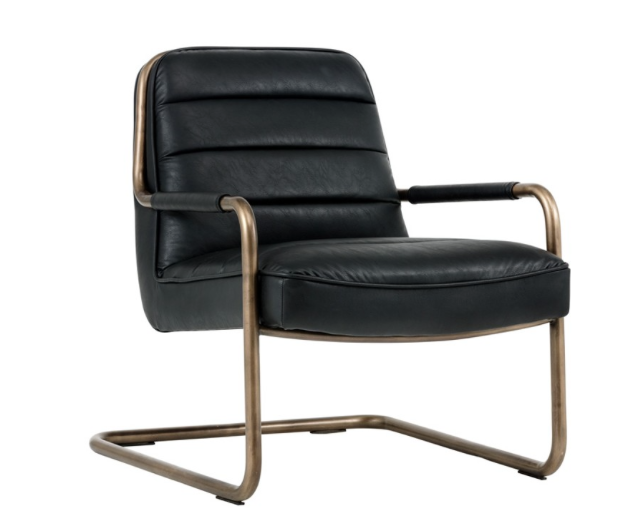 Its light gold metal frame is the highlight and is contrasted by the leather back and seat. 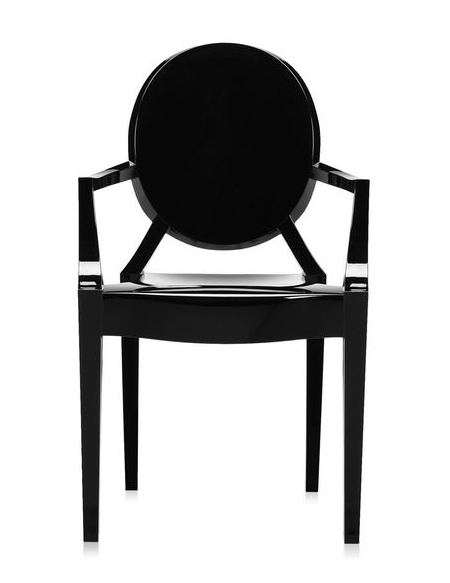 We love this chair for the warmth of the wooden frame and the simplicity of the black leather seat. 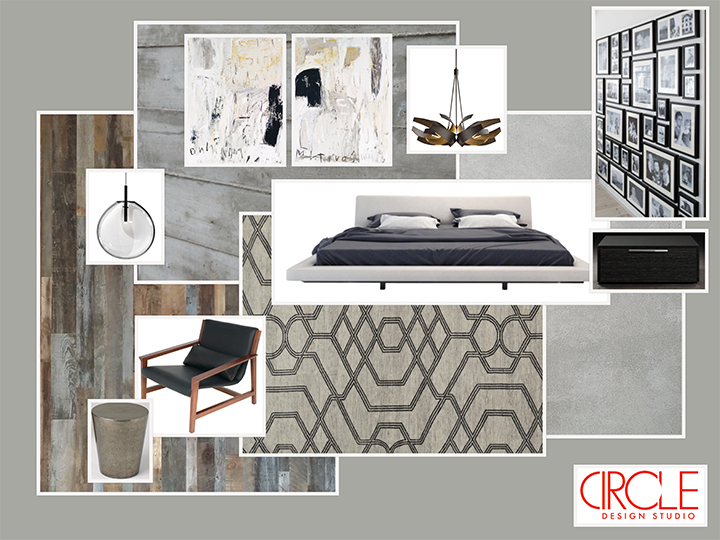 Perfect for rooms that are heavy on earth tones or you can use it with a pop of color in adjacent furniture or other decor. Another great option if you like the wood tone and black leather combination. The small curve along the back of the chair gives this chair its unique look. We love the sleek antique bronzed frame of this one. 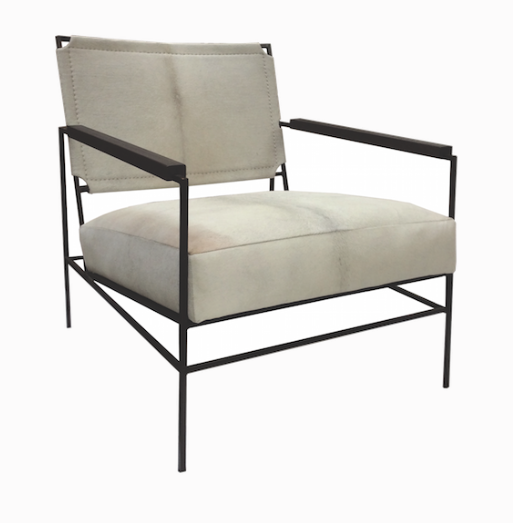 Paired with the lighter colored upholstery, makes this chair a great option for some colored accents. 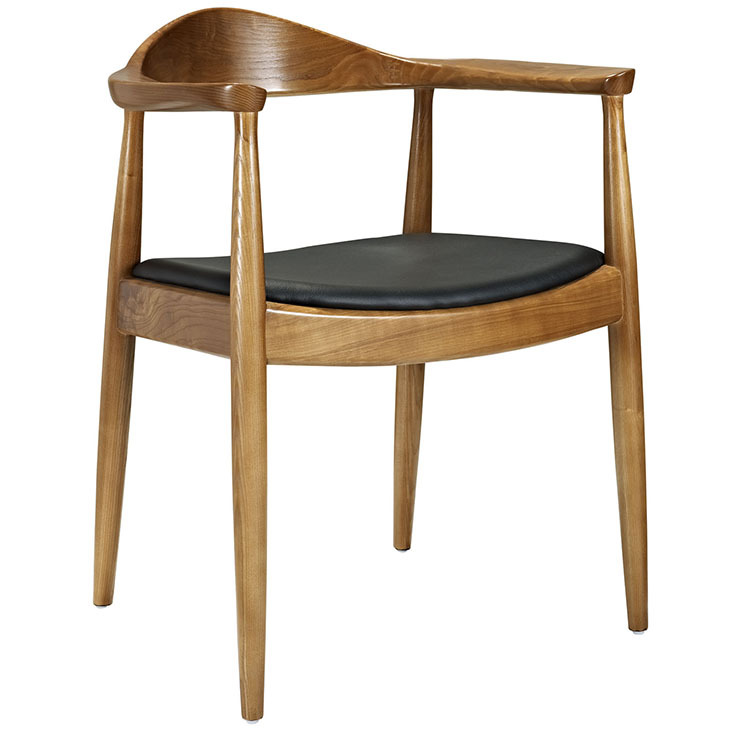 This is our favorite chair with traditional form that has a modern twist. Whether you choose one of these modern accent chairs, or one of the countless others out there, we encourage you to be bold. An accent chair, no matter the style, is a fun way to showcase your style in your home!